A number of Google Maps experts say that Local Citations help Google Maps rankings but is this true? The Google Maps listing has been set up by one of our Maps Experts and accurate Local Citations have been posted online using NAP citations in JSON mark-up. 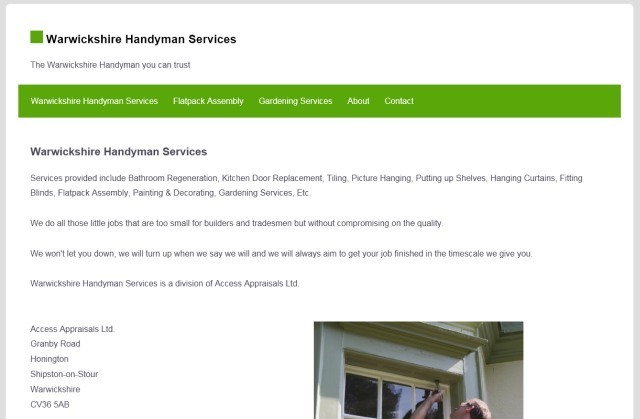 Now, in theory, the page should soon rank in the Google Local Map Pack for phrases like Warwickshire Handyman, Warwickshire Handyman Services, Handyman Services in Warwickshire, Shipston Handyman, Shipston Handyman Services, Handyman Services in Shipston, etc. – The question is though – Will it? What do you think – Do Local Citations Help Google Rankings?